It's Inspiration Tuesday over at STAMPlorations, and today I've gone pre-historic with Becca's Dino Things set. I had a session a while back stencilling clear paste through various stencils, and this one reminded me of the path up to Fred Flintstone's house, so it was ideal to use for Becca's Dino. I sponged various Distress Inks over it, then stamped the sentiment. 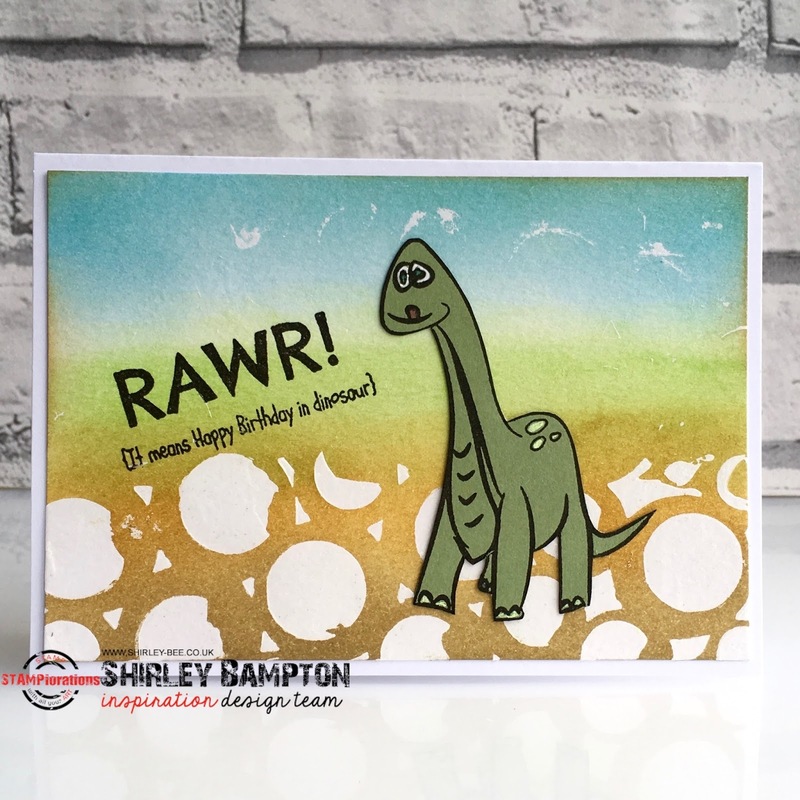 I stamped the dinosaur onto green card and fussy cut it, adding highlights with gel pens. Pop on over to the STAMPlorations blog for some more fabulous inspiration from the team, and don't forget to leave a comment for your chance to win a $10 gift certificate. I'm adding this to Simon Says Work It Wednesday - Stamps. Was just going to say your BG is perfect for this guy. He's apparently already eaten all the greenery. Now it's clear. It's Fred Flintstone's 'hood. This is absolutely darling...in a dinosaur kinda way! Love the 'prehistoric looking' background too!